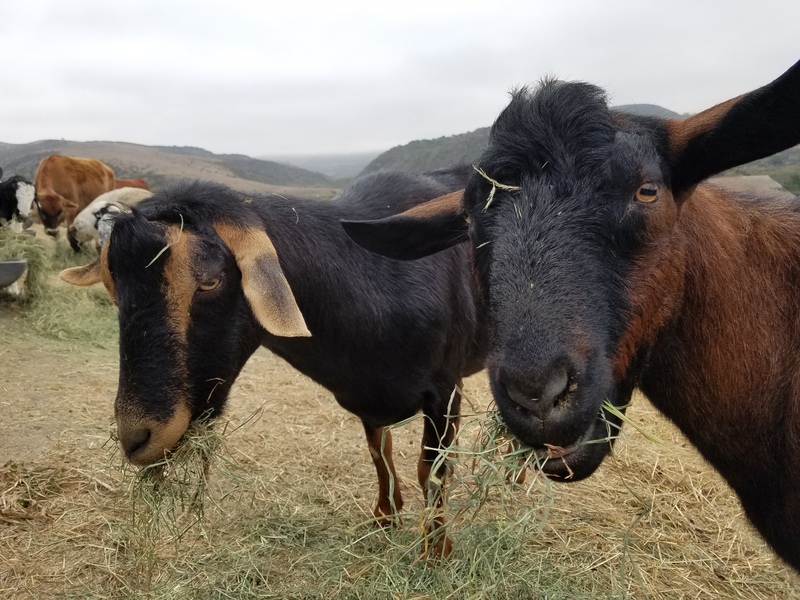 Brownie and Butterscotch were both rescued from a goat dairy as young babies. Male goats are often slaughtered before one year old, as they are not useful in milk production. A kind family took them in and to raise in their backyard. But when mountain lions moved into the neighborhood, Brownie and Butterscotch were attacked. Sweet Farm took both of these boys in and they are the friendliest, most social goats you'll ever meet. We rescued them as a pair and you'll always see them right by each other's side! Goats are awesome animals. Now we can virtually help raise a couple of goats because our yard is way too small to actually have a couple at home.